These chargers convert the sunlight to electricity and store it in an internal battery and then you disconnect that and plug your device into the chargers. Verify it stores the power and how much time it stores the power (generally 1 year). Verify if it’s an Hybrid Charger (i.e. 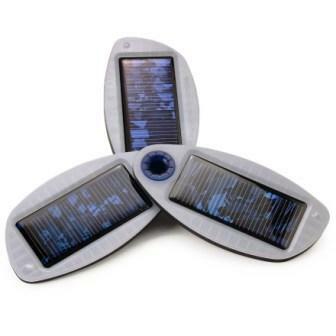 the Solio Classic Solar Charger). This means the charger can draw its power from both the sun and standard wall AC 120v-240v electrical outlets (USB port is a good option too). Another factor to consider is the wattage of the charger. Most chargers go from 1.5 to 130 Watts. The wattage is useful to calculate the time you’ll need to charge your devices. 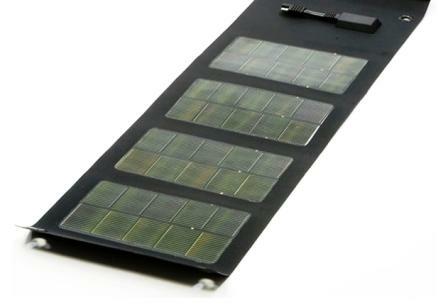 Consider that a good period to let the solar panel charge the internal battery is between 1-2 days. To get the maximum from the solar power, is good to point it RIGHT at the sun. Having a display on the battery unit is useful to know if the battery contains sufficient charge or not before you use it. Ok so im looking at the Brunton solaris 12w to charge my- Garmin GPS, DSLR camera, cellphone, Ipod. I have all the lighter cables to connect them to the solar charger. Now is it safe to attach them directly or do you need another piece of gear to prevent over charging? Also If I charged a 12v battery in the day and wanted to use this power to run somthing at night how would I connect things to the battery? do I have to find items with crocodile clips?